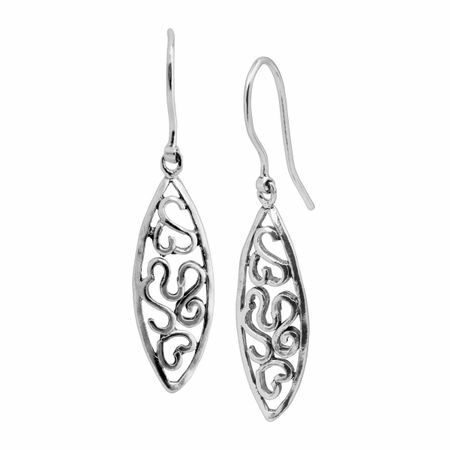 Emanating a windblown body of water, these filigree sterling silver earrings are perfect for adding an organic feel to your look. Earrings measure 1 3/16 by 7/16 inches and feature French wire back findings. Pieces come with “.925” sterling silver quality stamps as symbols of guaranteed product quality. We're sorry, we no longer make this design. We're sorry, this product is sold out. We're sorry, this combination is no longer available. Write A Review We want to hear from you.